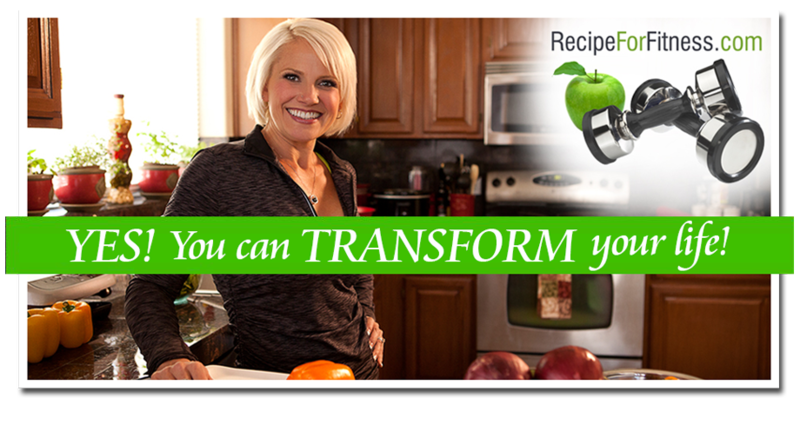 Recipe for Fitness: Champion Nutrition Recipe of the Week - Did you say fast food????? 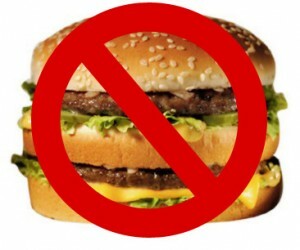 Champion Nutrition Recipe of the Week - Did you say fast food????? Yes, I said the 'f' words - fast-food. Did your stomach just turn like mine did? Bleh! I've been eating clean and training hard for so long that fast food doesn't hit my radar anymore - with very, very rare exceptions (like my once every year and a half In-n-Out burger, lol). However, even with my (some would say obsessive) commitment to nutrition and training, life happens, and there are times when the only choices I have are to a) not eat, or b) order fast food. Since skipping fuel is not acceptable, that leaves... fast food. Why am I talking about fast food on a Recipe of the Week post? Because I just got back from vacation and am out of food. LOL! Keepin' it real, here. It seems like a good time to share my Recipe For Fitness tips for staying (as much as possible) on track with my diet and training goals during times when organization and preparation have gone MIA. So... you ready? Here's my cheat sheet for food crisis'. Life Happens. There are many times when circumstances are beyond our control, and that handy clean-eating cooler is nowhere to be found. What do you do? Do you throw in the towel and slug down a Big Mac™, fries and a coke? Ummm, NO. While I don't condone failure to prepare, I am fully aware that sometimes the drive-thru is really the only option, other than simply not eating - which frankly, is NOT an option. I live in the real world, too, and my trusty cooler can't always come to my rescue. I've found myself sitting in a hospital waiting room for hours - with no cooler. I've found myself on the road right smack in the middle of the day that has no end. I've been stranded in car dealerships. There are times when the drive-thru or it's ilk are unavoidable. Over the years I've developed a kind of cheat sheet - and even though it's not my own fresh food, I can make educated choices that won't undo all my hard work or throw my metabolism into a catatonic state. Grocery Store. If you're near a grocer, you can find clean eats like almonds (go for the unsalted), fresh fruit, fresh raw veggies, string cheese, greek yogurt single-servings, pre-cooked chicken... you might even find sushi - look for a brown rice California roll. Purse Food. Yes, I said it. Most of us women carry a ton of unnecessary items in our suitcases, I mean purses. Men - many of you carry gym bags. Make it a point to keep it stocked with a few emergency rations, too. Like what? Baggies of protein powder, oatmeal, raw almonds, dried fruit, low-sodium beef jerky, and NoGii bars. What's a NoGii bar? It's a tiny package of excellence. ;-) Gluten Free, low sugar, high protein, and free of the majority of junk in bars today. Check them out online here. McDonalds: Grilled Salsa Roja wrap... about 200 calories each. Order it without cheese. Better - order two, and a side salad - ditch the dressing and tortillas and dump the contents of both wraps into the salad - mix and enjoy. Water or unsweetened ice tea to drink. Carls Jr: Chicken Santa Fe Sandwich as a Lettuce Wrap with no cheese or sauce. Basically, this is a grilled chicken breast with a green chili wrapped in lettuce. Water or unsweetened ice tea to drink. Taco Bell: Taco, fresca style (no cheese). Pizza Hut: Thin and Crispy Chicken Supreme, light cheese OR the Natural Rustica (chicken supreme). Subway: 6" Grilled chicken on whole wheat with baby spinach, carrots, cucumber, lettuce, peppers, and no cheese, dijon or yellow mustard. ** Subway is a LAST RESORT for me. Their sodium levels are way too high to be considered healthy. You can also do a chicken breast salad with oil/vinegar and tons of veggies (avoiding the sodium-bread altogether). Water or unsweetened ice tea to drink. Burger King: Not an option. Nothing on or off the menu is actual food - it's a sodium and chemical playground. If you MUST, order plain grilled chicken and eat it on a side-salad, no dressing. Water or unsweetened ice tea to drink. Convenience store: Beef jerky (low sodium, if it's available), unsalted nuts/seeds, dried fruit (fresh if it's available), bottled water. What about eating out in "regular" restaurants? Is this a treat meal? A treat meal can be occur once a week or so, and should be enjoyed. That doesn't mean you order the most metabolism-wrecking dishes on the menu and clean your plate(s)... it means you order what you really want, eat a reasonable portion, and then be done. Don't take home the leftovers. Not a treat meal? Then order smart. Grilled meats, dry (no sauces, butter, oil or salt), steamed vegetables, brown rice or baked potato (top with salsa, not the usual butter, sour cream, etc.). Skip the bread basket, the chips (or allow yourself a specific number and stick to it - like 7 chips), and dessert - unless you can order up a bowl of fresh fruit (without added sugar) plain. If you know where you're going ahead of time, go online to see if their menu is available - make choices that suit your goals, and hold to them. Remember - YOU are in control.